Finally a chance to get our hands dirty and start modeling with our hands. For this phase, no rhino or grasshopper was needed. 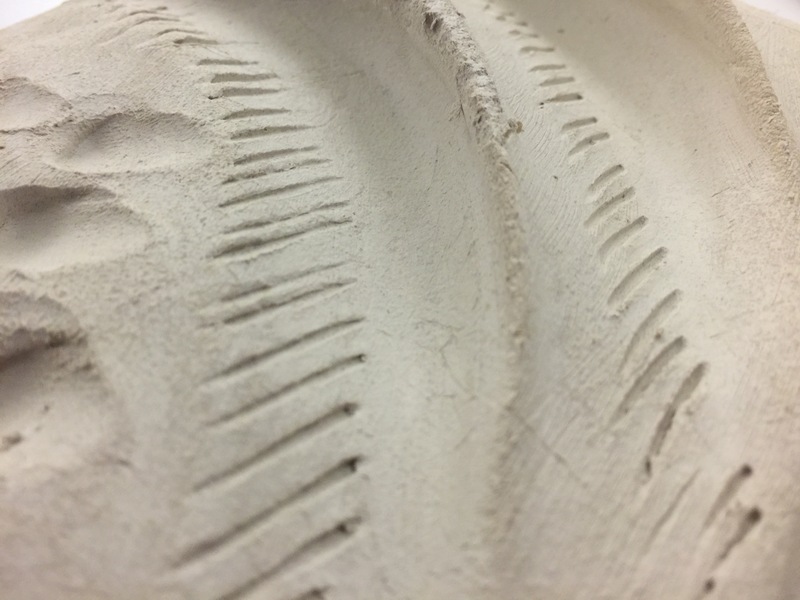 All that we used was modeling clay and basic shaping tools and our hands to manipulate and create marks in the land. The goal was to come up with strategies for large earth moving machinery to move around and maximize the marks left behind and the sculpting that was being made. I tried to visualize the machines moving over each individual cell, and the limits of their movements and what they were capable of moving around. This work influenced later stages of our design concepts for minimizing dust and maximizing habitat in Owens Dry Lake.